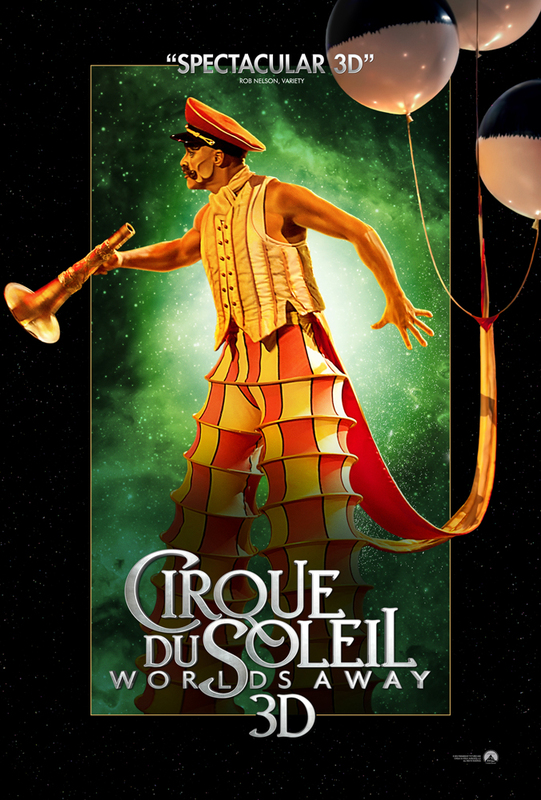 Paramount has released a new set of four posters for the skilfully staged 3D film Cirque du Soleil: Worlds Away. 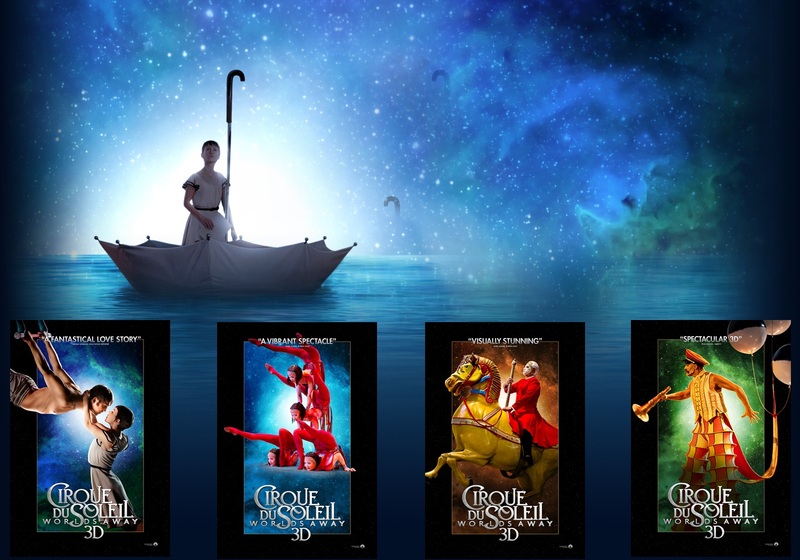 Shrek and Narnia director Andrew Adamson used slo-mo, close-ups and inventive camera angles to smooth the the spectacular skills of the Cirque du Soleil performers from big top to big screen. 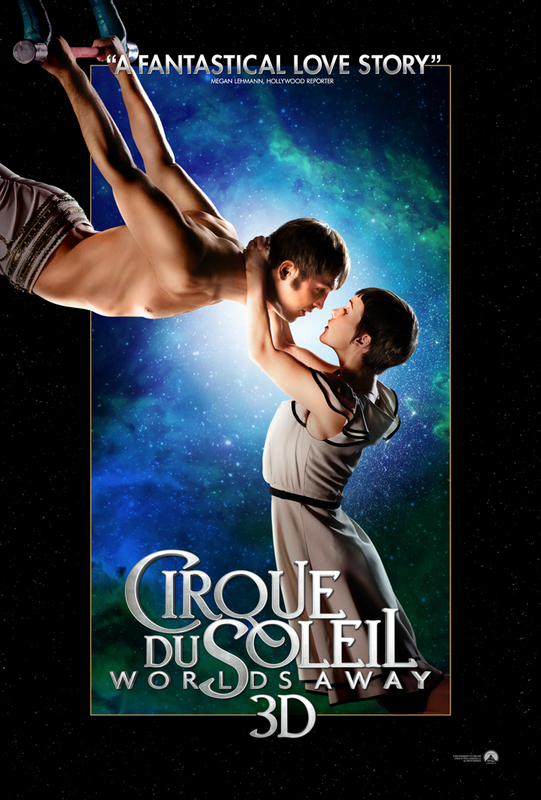 A drama set against a variety of Cirque styles and acts, whose plot is still under wraps, but involves a young woman Mia (Erica Linz) who falls for a circus performer, a trapeze artist simply known as The Aerialist (Igor Zaripov)and slips with him into a strange, dreamy underworld where they get separated. 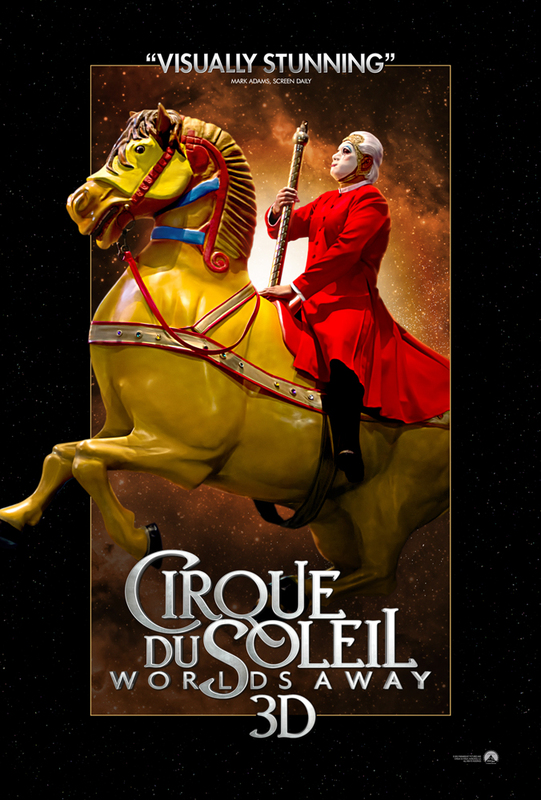 They spend the movie looking for each other while experiencing seven Cirque-themed worlds, such as a parallel universe where she meets the madly prancing clown (John Clarke). 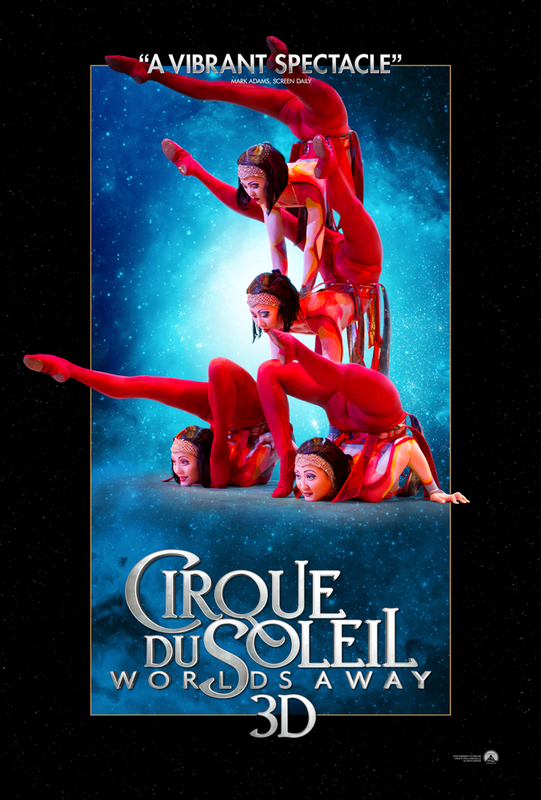 Produced by James Cameron, Cirque du Soleil opens in theaters on December 21st, 2012. 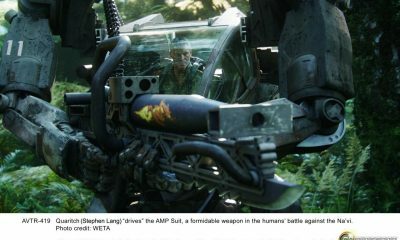 Check out the new posters which showcase a few of the many stunts that will be featured in the film premiered at the Tokyo International Film Festival.